Deliver the project on time and exceeds expectations? Build camaraderie amongst team members? Keep stakeholders informed and satisfied with the process? If you answered “yes”, then I have some project management tips that can positively impact your next training project. The Project Manager should be certain that the requirements of the training course are spelled out in as much detail as possible. This should include: delivery platform, authoring tool, specific functionality needed, length of course, testing methodology, media to be used and any other pertinent requirements of the program. Hand-in hand with requirements is the scope. Try to detail out the scope as tightly as possible. Include: objectives and goals, content to be covered, length of course, deliverables, project team, timeline and budget. Detailed requirements and scope help to ensure that all stakeholders involved in the project are on the same page and have the same expectations. The graphic designer, instructional designer, scriptwriter and programmers have unique skills and can bring a lot of value to a project when working together and problem solving as a team. You may not have the luxury of having these specialized individuals at your facility, but try to encourage a team approach with the players that you do have, rather than working in silos. An instructional designer doesn’t need to have ALL the answers, but they should know what they want to achieve. By communicating specific challenges and seeking input from the team, they will most likely get a more impactful solution that may take less development time than a specific scenario or methodology that they usually use or have pre-conceived. 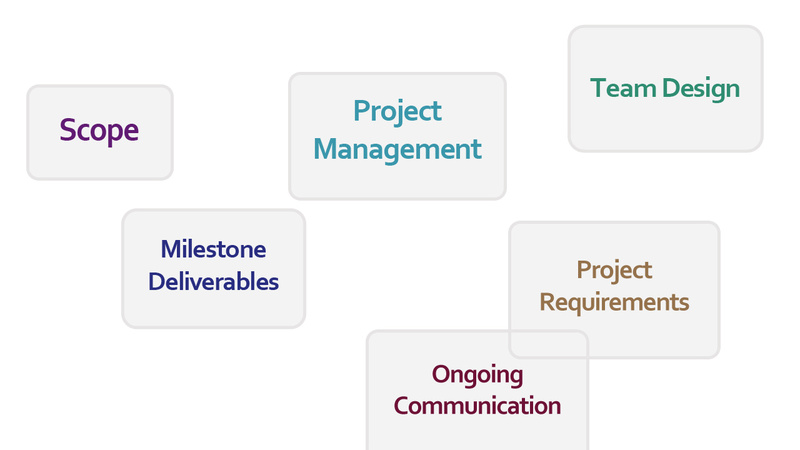 Setting project milestones for stakeholders to approve can save a lot of time and money. The graphic interface, sample template pages, program prototype, and beta release are all examples of milestone deliverables that can help you catch problems before they get out of hand. Seeking buy-in throughout the process streamlines the process. Being informed through constant communication with all stakeholders is critical. It ensures timely delivery of your project and keeps team members in the loop and vested. Common production team questions include: Are they on schedule? Do they have the materials they need? Do they have questions about the content or functionality? Ask yourself the following about how you’re communicating with your client and stakeholders: Are you keeping them updated on the project status? Have you addressed their questions or concerns? Are they reviewing project milestones in a timely manner? The project manager needs to be nimble in technology and communication skills and be able to adjust the way they communicate for the audience they are speaking with. For instance, I have found Basecamp to be a good project management tool for internal team use, but frustrating and confusing for other stakeholders. You may need to call or send personalized e-mails to stakeholders, mark-up graphics and share them in Google docs for your designers and add notes in your authoring tool for your programmers. 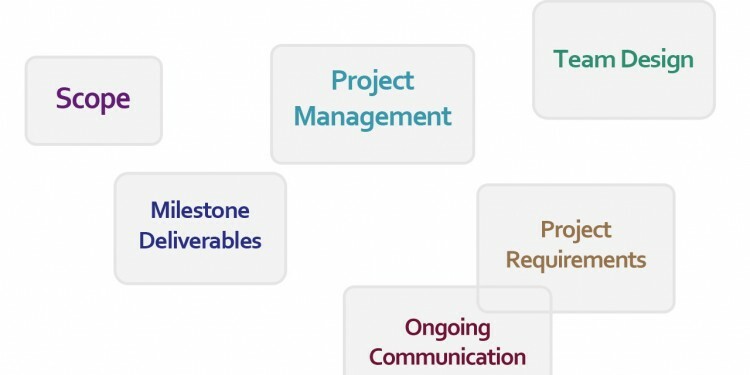 Project management goes beyond process. Good communication skills, attention to detail and team building go a long way toward improving e-learning program development.